Now available for phpFox! 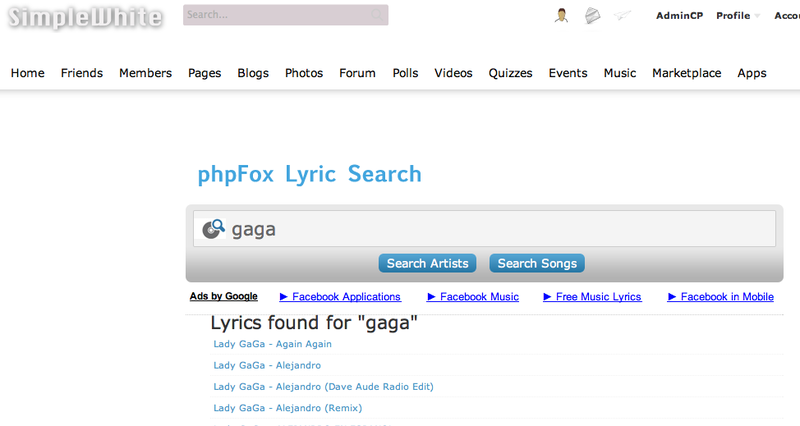 Add a lyric search bar to your phpFox site and offer your members a useful tool. The result and lyrics will load within your phpFox site window but will not add any additional load to your server or database. The search is done through third party api. Not only is this a cool tool but it will also let you serve your own ads on the page and within results. Comes with 5 styles. We cannot edit the results in anyway. Please note that this is licensed software and only can be used on one url. The download will not be instant although it may say it is. This product will be delivered in 24 hours.